I had some free time to spare from my obligations, so I decided to knit and eat this adobo flakes naked burrito from Army Navy. I also swung by Maginhawa to visit Makers Cafe, which serves light food, coffee, and local merch. I bought a pair of Pulseras by Kim spoon earrings because I love using one! I’m a proud Pinoy spoon user in a world that predominantly uses fork and knife to eat. My star stud earrings are also from Pulseras by Kim. This earring setup makes me happy! 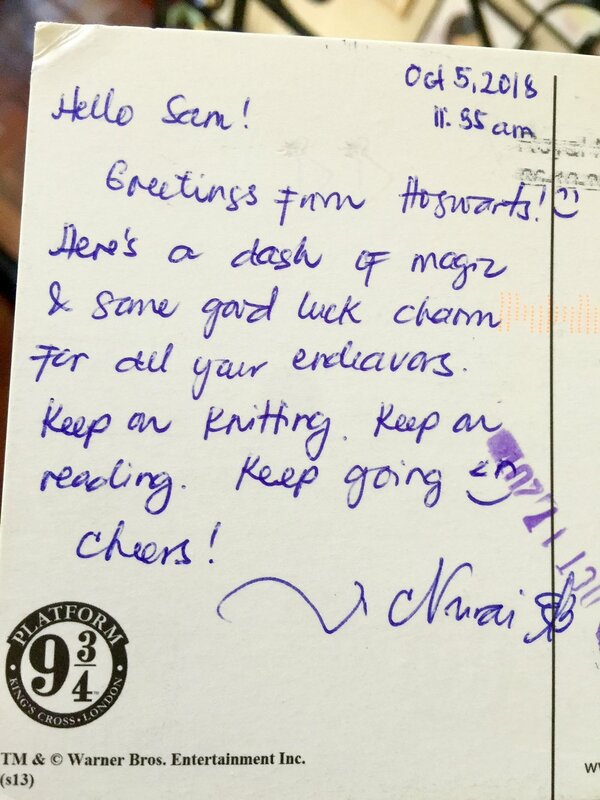 I was also delighted to receive a postcard from my high school friend Nurai, who’s based in Germany. I’m touched that she remembered me during her trip to London! Lastly, it was a real treat to receive snail mail from the Pink Sisters convent. Comfort food, basic bling, and snail mail all give me hope amidst challenges. I look forward to more simple joys to keep me going.